You've put in endless training miles, made several attempts to qualify, and now you're packed and ready to head to Boston this weekend! First of all, CONGRATS! You have reached runner level 100! We've talked to a few local Boston Marathon veterans and asked them for a few tips and tricks for race weekend. Enjoy, and good luck to everyone from Chattanooga racing on Monday! "Dunkin Donuts is the best local coffee shop you can go to!" Good luck to everyone racing Boston on Monday! Don't Stress. Remember where you are, and all you've done to be there. It's quite an accomplishment, so take it all in and enjoy the experience. Boston is a tough course with tough conditions, so just have fun with it. We hope you have enjoyed these tips and tricks! For something that seems so simple to do (you only need legs and 2 shoes…), running can be a hard sport to get into. There are so many questions when starting out: How far do I run? Where do I run? Why does my body feel like trash after 3 days of running?! It can be a bit intimidating and daunting. The 5k distance is many people’s first step into the running world. The 3.1 miles may seem like a giant snow capped mountain that is impossible to summit, but we have faith in you (and a some pro-tips)! We talked with local Chattanooga coach Kevin Huwe and a few of our Fast Breakers about how to embark into the running world and train for a 5k. Hopefully these tips will clear the way for you to start running and finish a 5k! I’m a total newb. How do I start running? Just go for a run! It’s perfectly ok if you can only run for 3, 4, 5 minutes and then have to walk. The first step is to get out there. If you can’t run very long, run 1 minute, walk 2 minutes. As you progress, you will be able to run longer and walk less. You got this! The main component is good fitting shoes and sweat wicking socks. We have both at Fast Break with experts who will find a shoe that fits your foot properly. Not sure if you need new shoes? Read this. How do I avoid burn out? Many people jump into working out by running 2-3 miles a day, every day, all out. They “train” by running till they drop. After a few days of wearing themselves out, they decide “running isn’t for me.” Don’t fall into this trap! When you first get into running, start slow and gradually build up the duration of your runs. Pick a few days a week, or whatever your body and schedule will allow, and run at a pace that you can have a conversation at (aka, a conversational pace), even if this means walking multiple times throughout the run to get your heart rate down. Set a time that’s one minute longer than you think you can run. Run that amount of time 3-4 times a week, then increase the time the next week. Rest a few days between runs so your body can adapt. Lactic acid builds up in your legs when you run, and active rest, like yoga or easy walking, breaks it up and allows your body to recover and heal. I’ve been running for a week and my body hurts, why? You’re asking your body to do something new. Give it some TLC. Rest after you runs. Stretch and foam roll to ease the lactic acid that’s built up in your legs. Another aspect of training is your hydration and nutrition. You body can’t recover if it does not have enough protein, carbs, and water. Drink 4-6 oz. of water before you run and 16-24 oz. of water after. Remember to stay hydrated throughout the day. Eat well balanced diets of fats, proteins, and carbs to help your muscles recover before the next run. And lastly, how old are your shoes? Shoes are the base of your legs. Bad shoes can cause bad problems. Get fitted for a pair of shoes that will support your feet and body as you run. What are the elements of a good training plan? Once you’ve been running a few days each week for several weeks, you might want to set a goal, like training for a 5k. Coach Kevin likes to break his training into three general categories: easy runs, tempo runs, and intervals. Easy runs are at a conversational pace. This might feel too slow. But easy runs help your body to recover from the harder workouts while still putting in miles and training. People have a lot of different definitions of tempo runs, but to keep it simple, find a pace that is hard but still controlled. This isn’t your race-across-the-playground-to-the-swing pace. This is a pace that you could hold for 15, 20, 30 minutes (depending your fitness level at this point). Then, at that pace, run for for 5 to 10 minutes followed by 1 to 2 minutes of jogging at an easy pace. Repeat this segment 2-3 more times. Another type of tempo run is to run for 15-25 minutes at a sustained harder effort. For intervals, run harder for a duration anywhere between 30 seconds to 5 minutes. If the interval segments are under 2 minutes, then run at a pace that could be held all out for around 5-6 minutes. For intervals between 2-5 minutes, run at a pace that could be held for 10-12 minutes all-out. Jog slowly for 1-2 minutes between each interval. Start by trying 3-4 intervals of faster running and slow jogging. Then as you get stronger, increase the amount of time you run hard and the number of intervals you do. Should I train for speed or endurance? 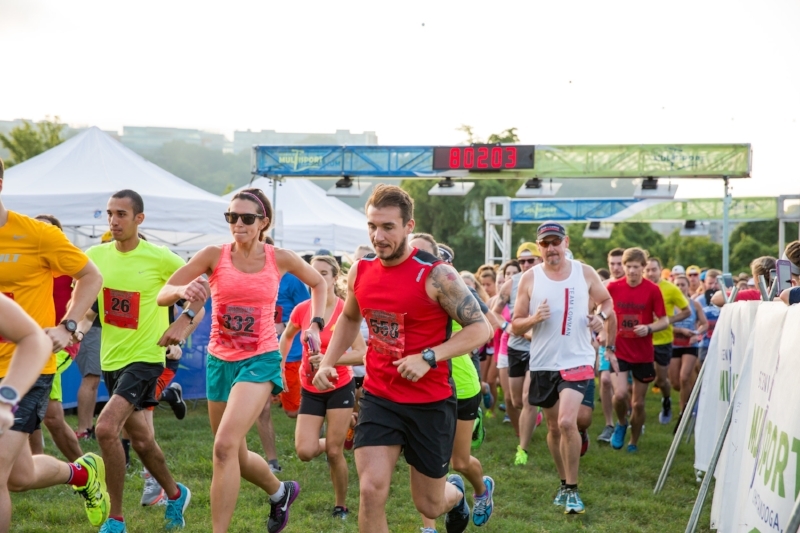 What is your goal for your first 5k? If your goal is to finish, then running easy paced runs while gradually increasing the duration of the runs will help you finish a 5k. But if your goal is to finish under a certain time frame, then speed and endurance workouts are important. Endurance runs train your body to run for longer periods of time before breaking down. They also strengthen your heart and your aerobic system. Faster runs, or speed workouts such as intervals, improve your body’s ability to utilize oxygen at a higher rate of exercise, which is one of the key contributors to being able to hold a faster pace. Speed workouts also improve form, and your body’s ability to remove lactic acid which is what causes your legs to feel heavy and stiff near the end of a hard run. How many days should I rest? Everybody’s probably a bit different, but taking at least one day of rest a week is important. Your body actually improves while recovering. You will feel tired after a workout, but when you feel like you can’t roll out of bed to slam the alarm clock off or like your legs have turned into cement blocks, then you probably should take a day off. Swim laps in the pool, do some yoga, foam roll, or take long walks on the beach at sunset. Learn from the start to train by the way your body feels, not only by a schedule or training program. If you are exhausted, you will do your body more good to rest than run. This all depends on your current level of fitness and what your goals are. Training cycles for races are generally 18 to 24 weeks long, but many 5k training plans last 12-16 weeks. If you don’t have that long, it certainly doesn’t mean you can’t complete a 5k. Take an assessment of where you’re at physically and be realistic with your goals. If you only have a few weeks to train and have never run a 5k before, then go out for a run and see if you can complete 3.1 miles. If you’re close but not quite there, then try to build up to that distance. After your test run, if a 5k seems unmanageable then look for a race further down the calendar and start training! Do I do anything different the week of the race? Slow down, take a deep breathe, you’ve almost made it! This is not the week to pack in extra training. Go on some easy, shorter runs a few days before the race. Most importantly, don’t exhaust your body right before your race! What should I expect on the morning of the race? Coach Kevin suggests eating something small a couple of hours before the race. Maybe try a piece of toast or a banana, but ultimately, stick with foods that you’re comfortable with and won’t upset your stomach. Drink a little water the morning of, but hydration is most important the day before. If you drink too much the morning of, the water will slosh in your stomach. I’m on the starting line, now what!? Hoooray! You’ve made it! All your training is about to pay off. With the crowd around you and nerves rising, you will want to start off fast when you hear the gun go off. However, try to maintain control through the first half of the race. Your breathing may be faster than your weekly runs and that’s ok, but if you’re 5 minutes in and gasping for air, then you need to slow it down. Runners like to say, “Run YOUR race.” Don’t be tricked into running someone else’s pace and burn out. Welcome to the running world and good luck with all your training! We are very passionate about sharing our love and knowledge of all things running relating at Fast Break, so stop on by and bring us all your questions! We hope to see you at the starting line (and finish line) soon! Whether you’re training for a summer race or just trying to survive till a fall marathon, running in the south east summer is draining and exhausting! After just a loop around the block, your clothes look like you’ve jumped into a swimming pool! An afternoon run can easily turn into a dangerous suffer fest if you are not prepared. So before you put on that sweat band and take off that shirt to get a nice bronzed look during your afternoon tempo run, brush up on these 5 heat training tips to prevent heat exhaustion or worse. Heat training can be beneficial for your running as it can expand blood plasma volume, but one cannot just jump into a full training schedule in high heat. First, you must acclimate your body with incremental improvements over 2 to 4 weeks. Be patient with your runs as the temperature rises. Slowly increase the length of time and effort of workouts as you feel your body adjusting. Rushing into heat training can cause heat cramps or heat exhaustion. Listen to what your body is telling you and adjust. But if you absolutely can’t stand the heat, run in the early mornings or late evenings. Re-hydrate after last night’s beer! Drinking at least eight cups of water a day is always important, but your body needs more water in the summer. An average human sweats 1 liter of water per hour of exercise. To stayed fueled (and alive), hydrate with an electrolyte drink 1-1.5 hours before your workout. Run with a hand held water bottle or hydration pack, and continue to drink 16-28 oz of fluid per hour as you workout (or 4 to 8 ounces per mile). If you have to, set an alarm to go off every 20 minutes to remind you to drink or take a gulp whenever your GPS watch beeps. Electrolytes increase your water absorption rate and replenish the nutrients you sweat out. Drinking gallons of plain water can actually hurt you in a process called hyponatremia where too much water intake dilutes blood-sodium levels. While this usually occurs more often for long distance runners or hikers, it can be easily avoided by adding a Nuun tablet or a scoop or two of Tailwind into your water bottle to properly refuel your body. The electrolytes will also prevent heat cramps and dizziness from heat exhaustion. Remember to continue drinking water or an electrolyte drink post workout so that your body can restore itself before the next day’s run. Running in the heat is exhausting. The body is working double time to push blood and oxygen to muscles and skin to keep from overheating. Since the heat causes an additional stress, times and intervals have to give. Slow down your pace and even take a break for a moment to get fresh oxygen and blood flowing through your muscles and skin. Don’t panic, your training doesn't have to give. Try running hard workouts early in the morning (time to work on that bed time…), and less intense runs in the afternoon with hotter conditions. Not everyone responds to heat in the same way, so be kind to yourself, listen to your body, and don’t push it! For best recovery, treat your recovery days with extra love. Run on a treadmill in cooler air, run early in the morning, or even deep water fun. To run in the pool or a lake, wear a flotation belt and pump your knees and arms up and down, much like a high knees warm up drill, but with a slight forward lean. In the hot sun, light weight, bright colored, synthetic clothing that’s loose enough to promote airflow is ideal. Even though it’s outrageously hot, it’s still important to cover up to prevent sunburn which can affect your body’s ability to regulate heat. Wear a hat to create your own shade over your face and sunglasses so that you can still enjoy the scenery without getting a headache from squinting. The extra sweat can sometimes produce blisters, so make sure your shoes are sized and fit correctly, as your feet will swell some, and wear cotton-free socks. Cotton soaks up water, just like a bathroom towel, and keeps it in your shoes. Socks with a synthetic blend wick the water outside of the shoe. If heat exhaustion does happen, you will probably feel dizzy and overwhelming need to lay down will rush upon you. Resist!!! Pavement and concrete absorbs and stores heat making the pavement hotter than the temperature at head height. If you are feeling sick, try to find shade and slowly walk around, sipping your electrolyte drink. If the suffer fest has progressed to a dangerous level, you or a friend call 9-1-1 (and on that note, run with a phone for moments like this!). As summer begins, remember these training tips as you embrace the south’s hot, humid hug! Good luck, Fast Breakers! Ironman 70.3 Chattanooga is in less than a week! We talked with our very own, in-house tri-dork Seth Ruhling and asked him for a few tips for a smooth and fast race day! Check out the videos and tips below. Good luck, all triathletes! ! We will be cheering for you! First things first, before race day, make sure you have everything you need! Here is a gear checklist to help you prep. If you need to pick up some last minute supplies, stop by Fast Break Athletics! Before entering the water, survey the buoys and course direction. Then jump right in! This is the start to an awesome adventure! Stay calm and relaxed during the chaotic early moments of the swim. Create space for yourself to swim as soon as possible, so that you're not battling with other competitors. Pace yourself in order to finish strong and to have energy left for the other elements of the race. Watch where you're going; sight often and make adjustments. Clean your bike - a clean bike is a fast bike! Keep it simple, don't bring more than what you absolutely need. Place your helmet and sunglasses on your bike. Use the time to relax and recover from the swim. Be clean, don't take off your swim gear and throw it into someone's space. This could pentalize you. Put your helmet on FIRST then you take your bike off the rack. The Chattanooga 70.3 Ironman bike portion is largely a non-technical course on beautiful rolling country roads. Preview the bike course either in person or via the course maps provided. On race day, use the first 15 minutes of the bike to "warm up" and find your pace. Stick to your pre-race pacing plan. Remember to drink fluids and take in nutrition regularly. Again, watch where you're going; be careful of cones, potholes, and other competitors. Stay on the right side of the road unless passing. Be cautious of the drafting zone, you don't want to snag a penalty! Again, don't bring more than you need. Lace your running shoes with quick laces, for fast and easy shoe tying. Dismount before the dismount line! You don't want a penalty. Keep your helmet on until your bike is racked. Slip on your running shoes, race belt, hat, and you're off! You can put on your hat and belt while your running through the transition. When you get to the run section, you will be tired, but views of the scenic city and the cheering crowds should perk you up! The Chattanooga run course consists of 2 loops through downtown. Start easy and build into your goal pace. Use the aid stations to your advantage: hydrate, cool yourself down with water cups, take in nutrition, etc. Take one mile at a time. Keep a positive mind, and stay focused. You did it! Now go get yourself a well deserved burger and a drink, and give yourself a pat on the back! Happy National Foam Rolling Day! We went over to Kyle House Fitness and got schooled on how to effectively use Trigger Point foam rollers! Check out the video below! Stop by Fast Break Athletics and pick up some Trigger Point products that will help improve muscle recovery, break up scar tissue, and improve mobility! Rock and ROLL! The Chattanooga Chase 8k is just around the corner on Monday, May 29. 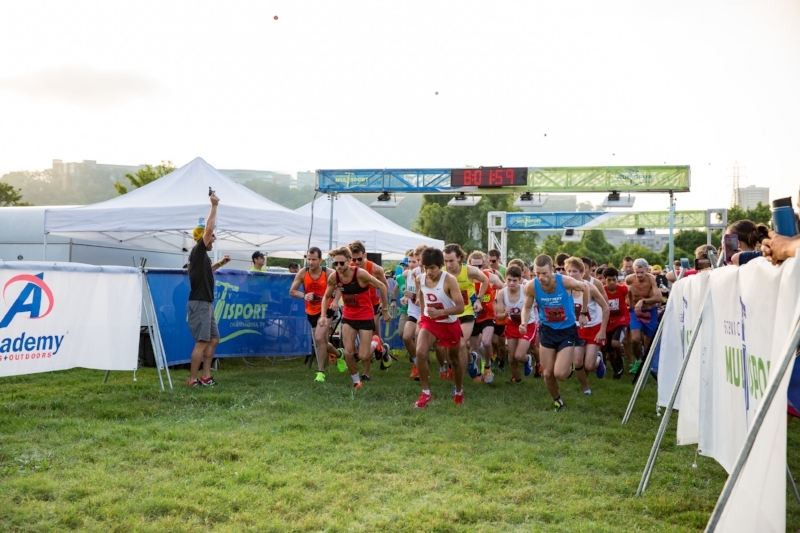 Established in 1969, the race is the area’s oldest active competitive road race, featuring a HILLY 8k and a fast 1-mile race through Chattanooga’s North Shore. Rock/Creek will be awarding a premium to the first male and female to reach the water station atop Minnekahda Avenue, the race’s most challenging climb! 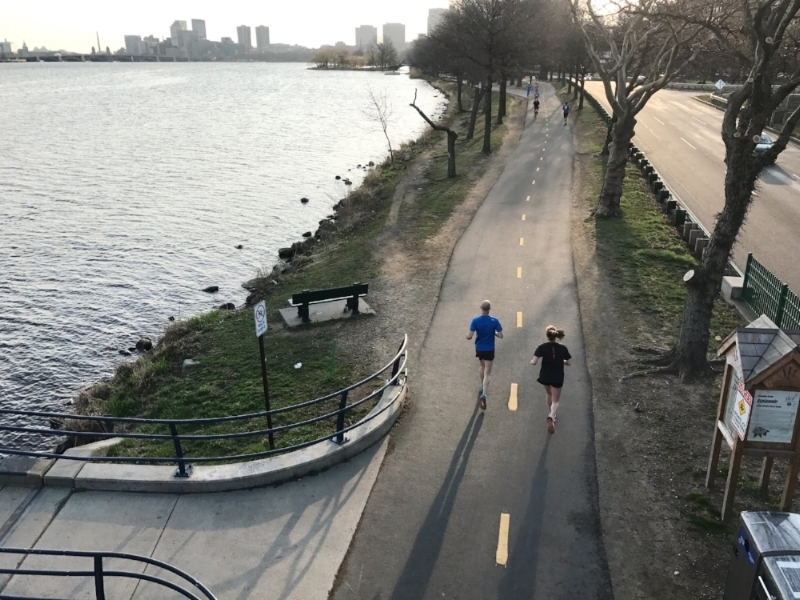 To help get your legs in shape to survive, I mean run, this historic 8k, we asked a few noteworthy, and fast, runners to give us their favorite hill workouts and tips on how to run them. Add these workouts into your weekly routine to prepare yourself for the Chase! This is a 10 mile run total. Run 5 miles uphill, then turn around and go back down. The distance is not as important as long as you're challenging yourself. I like to do this every other week instead of a long run. I would suggest having at least one easy day after and before doing a workout. I like this workout simply because it's tough. Because you're running uphill, you don't have to run fast to work hard. You don't have to push, just let the hill do the work. You will be breathing hard and your legs will be burning, and all you have to focus on is to keep moving and make it to the top. Once you’re at the top, stop and check out the view for a second then turn around and head back down. Going down will feel different at first because you're not having to produce as much power to get your body up the hill. Instead, your body is working hard to reduce the shock of fighting gravity's pull. Again don't push. Just relax, lean forward, and let gravity do its job. You'll likely come down a few minutes faster than your pace on the way up. Since there’s so much downhill, I recommend doing this workout on a dirt road, wide trail, or flat terrain. Start with a 10-15 minute light tempo run. Then run 3-5 sets of :30 seconds, :45 seconds, :30 seconds hill sprints with a walk/jog recovery on the downhill and 3-4 minutes between sets. The hill should be moderately steep, nothing crazy (a great hill is Whitehall Road). The light tempo run at the beginning of the workout has two functions. First, it helps warm up your legs before you hit the hills. Then when you start the hill repeats, your legs will already have a good amount of work in them, so they have to push harder during the workout. The effort on the hills should be pretty high. As you try this hill workout, you'll have to learn how to distribute effort throughout the sets. When the effort is high and it becomes harder to push, focus on being tall, using your arms, and lifting your legs quickly. Hills are God's gift to runners. Any variation of these workouts are beneficial. Make sure to stretch well, foam roll, and whatever else to take care of your muscles and joints afterward! Start with a 2-3 mile warmup. Then perform 3-5 x 2 mile repeats at your trail marathon effort (If you have never run a marathon, let alone a trail marathon, think of this as slower than your 5k or 10k race pace but still a quick and sustainable speed.) Rest for 3 minutes and 30 seconds. Don’t stop moving completely. Practice active recovery like walking around or slow, easy jogging. A pace example for this workout is running uphill at a 6:35 minutes/mile pace and downhill at a 5:25 minutes/mile pace. At the end of the workout run a 1-2 mile cool down. Find a gradual grade hill that is not too steep. Run 8-10 repetitions of uphill sprints for 20 seconds. The 20 seconds helps to create better running form and glute strength. Focus on running with good, total body form. Pump your arms to increase your leg turnover. Pick up your feet, and push hard in the last few seconds. Another great workout is to run a continuous steady effort on a hilly course. Pick an area of town with numerous hills to run you mid-week tempo run. Be aware of each hill and resist slowing your pace. Keep it steady. Add one of these workouts into your weekly training and you will be ready to tackle the hills in the Chattanooga Chase! Sign up today to stay motivated! See you at the start line! Post-race recovery is one of the most important dynamics to master in running. Runners tend to ride the adrenaline wave for the week or two following the race and add in more miles or run faster paces than their bodies can handle. You felt awesome on Saturday’s half-marathon, so you must be stronger and can keep going, right? Wrong. What x-ray vision would show you is that your muscles were broken down in the race, and now they need some TLC to repair. Your body is actually at a higher risk of injury during this time. You might not feel the fatigue, soreness, aches, or slowness immediately, but the side effects of a shortened recovery time can appear weeks or months later in your training schedule. Unfortunately, there’s not a one-size-fits-all plan for recovery. The amount and time of rest you need depends on the race length, time, effort, terrain, training, and age. One person’s 5k race will differ from another’s; one marathon may leave a runner more ragged than another; and a 55 year old is going to recovery at a different rate than a 21 year old. We talked to our staff and put together Fast Break’s tips for post-race recovery. Apply these to your body’s needs and your race’s distance to create a personal, beneficial, and healthy recovery time. Yogi’s are great at this. They are tuned into how their muscles feel with each weight shift and movement that they can tell when their body doesn’t feel quite right. If you go on a short, easy run 3 days after a 10k race and are still feeling “heavy,” or “slow” then take another 2 days off. Rest up, do some yoga, listen to what your body is telling you. The longer the race, the longer time you need to recover. The longer it takes you to run the race, the more time you need to rest. This applies to the winner of the marathon as well as to the last finisher in the 10k. So for example, a 5k racer may need 3-4 days off from running, while a half-marathoner may need 7-9 days and a 100 mile ultra trail runner probably needs 3-4 weeks (or more!). Don’t stop moving as you rest. During your post race recovery, get an extra hour of sleep, take short walks, do some easy yoga. The goal is to get fresh blood moving through your body. Post race, you should immediately consume protein and carbs 15 to 30 minutes after the finish. In the days and weeks following, listen to your hunger cues and eat enough (until you feel full). Feed your muscles with nutrients, not just calories. Make sure you’re getting a balance of complex carbs, proteins, and healthy fats. Listen to your cravings. If you’re craving meat, you probably need protein. If you are craving something salty, then you probably need the salt for hydration. And of course, drink up! Stay hydrated! Overall, eat what your body needs and what you enjoy because you deserve it after killing it in that race! When you come off of the race-high and are forced to rest and recover, motivation can take a dip. To resist a psychological breakdown, add in cross training exercises that are not as hard on your body but are fun. We suggest elliptical training while watching a movie, bike riding with friends, hiking a easy trail, stand up paddle boarding with an easy swim, or yoga with your local Fast Breakers (on Tuesdays at 6:15!). Use the recovery time to enjoy life, get some fresh air, and reset for the next round of training! If you still have questions on recovery, drop by the store, comment below or hit us up on Facebook. We LOVE to talk about all things training and running (like we even needed to say that). Unless you like head on collisions, avoid going the opposite direction. Pulled hamstrings are no fun. Avoid injury by lightly jogging for at least 10 minutes pre-workout. Here are some warm-up drills we suggest. Likewise, once you have crushed the track workout, lightly jog 10 minutes afterward in order to flush the lactic acid out of your muscles. 1. Mile Repeats aka "The Classic"
The Workout: 3-6 x 1 mile (4 laps) with 2-3 minutes rest between. Benefits: Mile repeats are great for dialing in your race pace and working on the upper-end aerobic system. How: Perform anywhere from 3 to 8 mile repeats with 2-3 minutes rest between each mile. Pick your goal race pace and try to hold that pace throughout the workout. For example: if your half marathon goal pace is 7 minutes per mile, run each mile repetition in 7 minutes (each lap 1:45). Be conservative for the first few miles to remain strong through the entire workout. 2. Inverted Pyramid, aka "The Joey"
The Workout: Run 4 minutes hard then 1 minute easy, 3 min hard and 1 min easy, 2 min hard, 1 min easy, 1 min hard, 1 min easy. Then reverse it: 1 min hard, 1 min easy, 2 min hard, 1 min easy, 3 min hard, 1 min easy, 4 min hard, 1 min easy. Benefits: This track workout is great for touching on different paces for different time periods, tapping into a few different nervous and muscular systems. How: Perform the workout while continuously running (on a track, road, or treadmill). After each hard interval, jog easily for 1 minute before continuing on to the next hard interval. Be sure to control your pace on the first 4 minute segment in order to hold strong through the second half of the workout. 3. 400/200, aka "The Floater"
The Benefits: You will work on faster-than-race-pace paces. The workout also teaches your body to buffer lactic acid more efficiently. How: Run a 400m (1 lap) at roughly mile pace or slightly slower. Jog 200m (1/2 lap) then repeat 10-16 times. Try to keep the 400 paces consistently strong as well as holding an easy, relaxed pace for the 200m float. 4. Mile Break Down, aka "Mental Breakdowns!" The Workout: 1 mile, 1200m, 800m, 600m, 400m with 1.5 - 2 min rest between. Benefits: You will learn how to progress your speed through out a race. How: Perform the workout progressively getting faster each rep. Start with the mile at goal half marathon pace then work down so that the last 400m rep is done at roughly your 1 mile race pace. Don't start out too hard, but leave it all on the track on the last 400 meters rep. The Workout: 20-40 minutes at tempo pace. Yes, continuous. No stops. The Benefits: Find your sweet spot pace. This workout helps increase your aerobic capacity and delays the onset of the anaerobic system, i.e. allows you to run faster for longer. You will also learn how to keep a consistent pace. How: Run at your tempo pace (see below) for 3-6 miles without stopping. Use your watch with lines and markers on the track to keep your pace consistent. What is your tempo pace? Take your race pace and add 10-20 seconds. So a 7:00 minute 10k pace would be a 7:10-7:20 tempo pace. Track workouts are always more fun with friends! Join us for our group track workouts every Monday night at 6:30. All levels and paces are welcome! We meet up at the shop, and jog over to GPS track.